Self storage can help with almost any space-related issues. By renting a storage unit, you can expand the amount of storage space you have beyond the walls of your home. If you find yourself in a situation where you don’t have enough storage space, self storage can be the perfect solution for you. 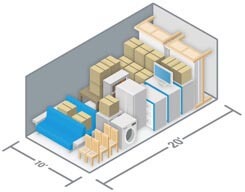 Additional Storage – One of the most common uses for self storage is to get more space for belongings. Renting a storage unit allows for more breathing room at home without needing to get rid of anything valuable. Seasonal Storage – A lot of belongings are only used for a few months out of the year. When they aren’t being used, they take up space. A storage unit is perfect for seasonal items like holiday decorations, seasonal clothing, and lawn equipment. Moving – A storage unit is a great tool for transitioning between homes because it gives you a place to store furniture, appliances, and boxes while you’re waiting to get in to your new home. Remodeling – Remodeling your home can be a huge project and take several weeks or longer. Of course, in order to remodel a room, you need to empty it first. Renting a storage unit gives you a place to store your furnishings during that time. College Storage – Instead of lugging dorm belongings back home during summer break, you can rent a small storage unit near campus. That way, the trip home is easier and moving back in at the start of a new school year is a breeze. 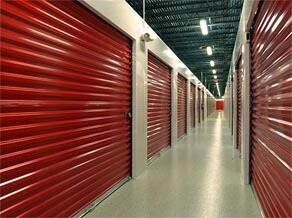 Business Storage – Self storage isn’t reserved only for personal use. A lot of businesses utilize the affordable rates of storage units to expand office spaces. 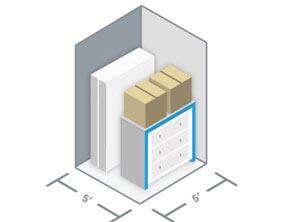 A storage unit can be used for storing inventory, supplies, or equipment as well. Storage units are accessible from hallways inside the facility. The facility could be several stories tall and require the use of elevators in order to access units. 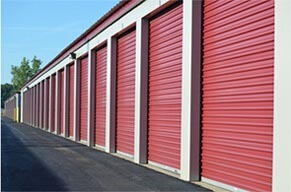 Storage units are accessible on the outside of the facility, usually with drive-up access. These are great for storing heavy items, such as furniture, appliances, equipment, and vehicles. There are also facilities that offer a mixture of both types of storage, offering consumers a choice. Indoor storage units offer better temperature regulation and a higher level of security while external storage units have better accessibility for heavy items. Electricity – Some facilities offer storage units equipped with electrical outlets. With electricity, you can operate a business out of your unit, charge vehicle batteries, and more. Climate Control – A lot of items can be damaged by extreme temperatures while in long-term storage. To combat this, many storage facilities offer climate-controlled units to protect sensitive belongings, such as antiques, photos, electronics, musical instruments, and more. 24-Hour Access – Some facilities offer 24-hour access, giving you the freedom to visit your storage unit whenever it’s convenient for you. That way, you don’t have to adjust your personal schedule around the hours of your storage facility. Security – Many storage facilities offer great security measures, including gated access, alarmed units, video surveillance, and on-site management. Now that you know what self storage has to offer, you can narrow down choices to find the perfect match for your storage needs. Need a place to store excess belongings, like a dresser and some seasonal clothes? A 5x5 storage unit with climate control would be a perfect solution for you, as long as the dresser will fit. Clothes and wooden furniture can be easily damaged by heat and humidity, so climate control is recommended, especially if you live in an area with high temperatures and humidity. Looking for a storage unit to store belongings during a move? If you’re moving the contents of a house, a 10x20 or 10x30 should do the trick. Make sure to get a storage unit with drive-up access so it’s easier to load and unload. Are you a wine aficionado who doesn’t have a room equipped for aging wine? There are facilities in some parts of the country that offer wine storage with intricately controlled variables designed specifically for the long-term storage of wine.